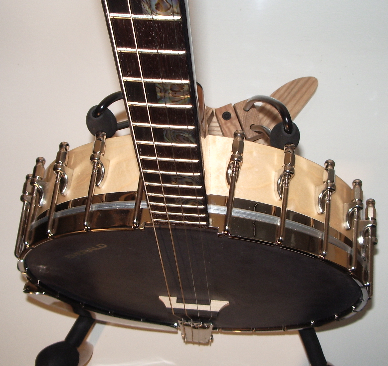 This is a beautifully made and finished instrument and has a Whyte Laydie tone ring atop a 3 ply maple rim. 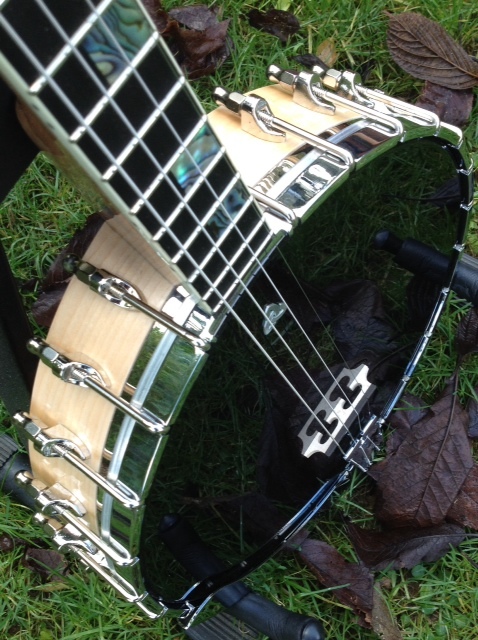 It has a lovely full and rounded tone and is one of our favourite "let's have a quick few tunes together" banjos. It's powerful enough for any session. 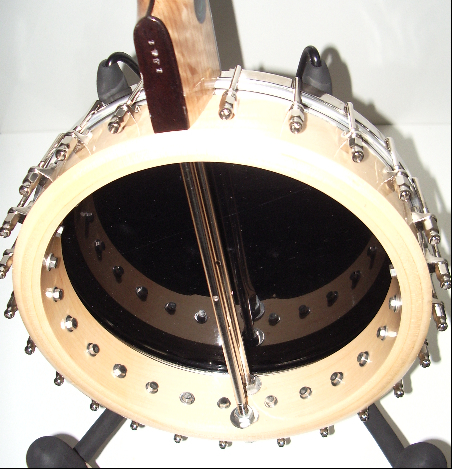 The neck is made in tiger flamed maple and ebony. 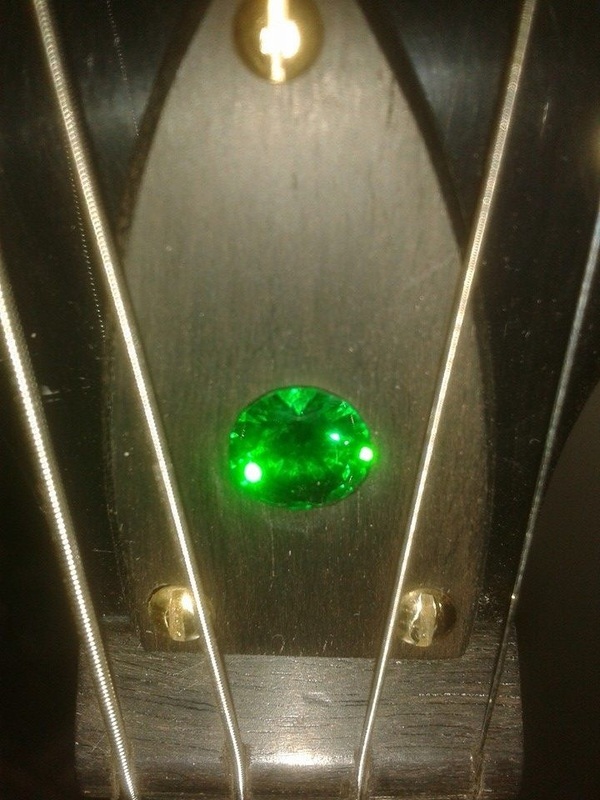 The pegboard is ebony beset with our green abalone and and inset emerald.